Clap On! Clap Off! - The Sound Activated On/Off Switch. The Clapper Can Control One Or Two Appliances At The Same Time. Set the dial to Home or Away. 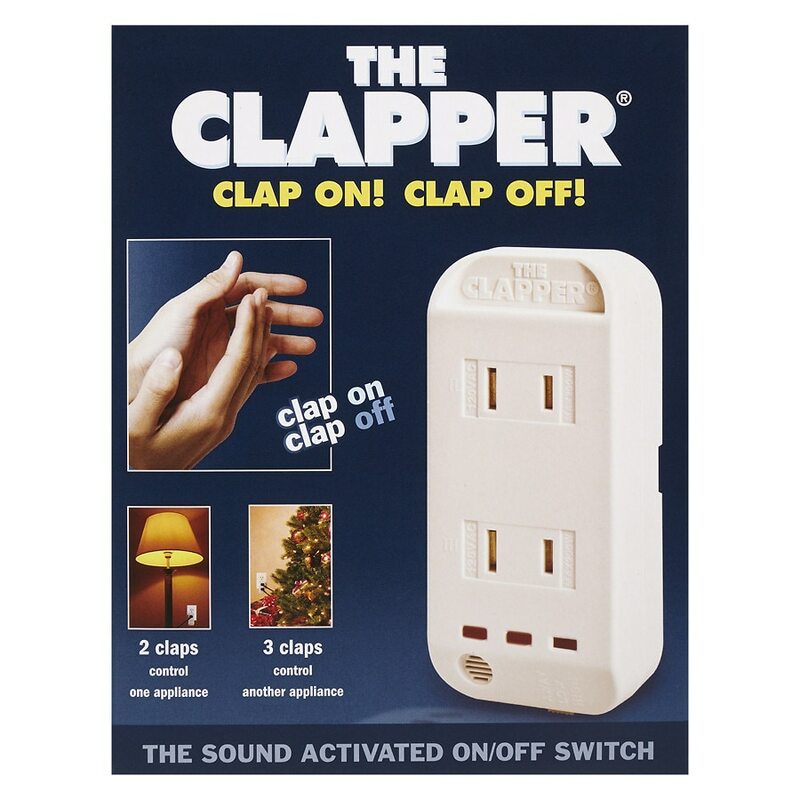 Connect your appliance(s) into The Clapper. Plug The Clapper into any standard wall outlet. Clap Detections Lights - Lights glow in sequence when proper claps are detected. Sound Sensitivity Dial - Adjusts to softer or louder claps. 3 Clap Outlet - Appliances connected to this outlet will be activated by 3 claps. Indicator Lights - Indicator lights glow when a connected appliance is clapped off. Home/Away Dial - In Away setting, connected appliances will turn on with the detection of any sound.